The new TRS+ Cassette is all about range. Using a unique 3 piece assembly and exclusive 9t cog, the TRS+ cassette offers a massive 9-44 tooth range in the 11 speed version. More range lets you clean steeper climbs and blast the descents! 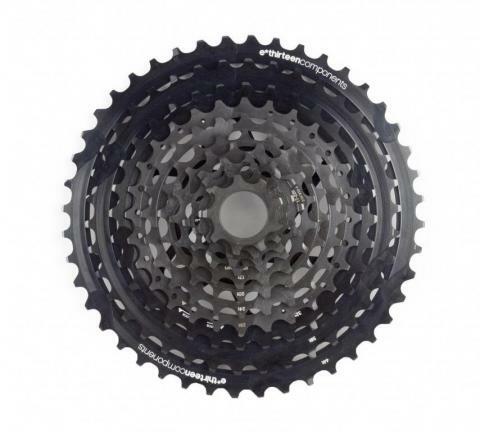 The steel cog pieces are shared between the 10 and 11 speed versions, and high wear parts are available individually, which means replacing worn parts, or upgrading from 10-11sp is possible without buying a whole new cassette.